The live music scene will usually slow down after the holidays but that doesn’t seem to be the case this year. Here are a few events worth your time and money. Tonight, January 18, The Jim Beam Talent Search, Montreal Edition. One of these five local bands will move on to the national finals later in the year in Toronto. They are The Chair Warriors, We Are Monroe, Oliver Forest, The Day Dreamers and the Record Breakers. Doors open at eight and the show starts at nine. Free admission but you must be 18 or older. This takes place at Sala Rossa, 4848 St. Laurent Boulevard. One online listing says it’s on Sherbrooke but that’s wrong. Tomorrow, Saturday, the 19th, Plattsburgh Blues and Jazz keeps up their winning streak with saxophonist Vanessa Collier and her band. Collier’s live shows have consistently drawn rave reviews and every show that I’ve seen by PB&J has been well worth the time and effort. The show is at Retro Live, 14 Margaret Street in Plattsburgh. Doors at seven, show at eight. 15 Yankee dollars will get you in. This one was announced earlier this week. 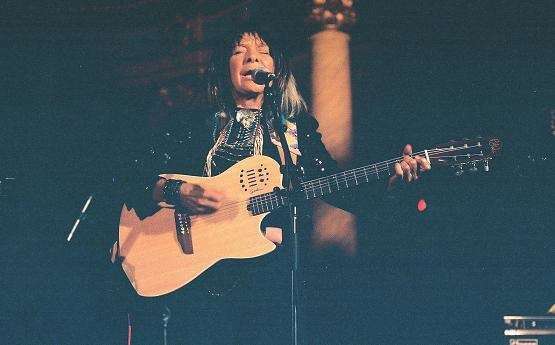 Buffy Sainte-Marie plays at the Corona Theatre on February 16. Reserved seat tickets go on sale today at noon for $43. She may not make the headlines but she’s still as busy as ever. This will be a rare solo gig. If we get lucky maybe they can work in a book signing for the new biography while she’s here (“Buffy Sainte-Marie” by Andrea Warner was released this past September). The Corona Theatre is at 2490 Notre Dame West. 1-855-310-2525. In that same building on February 8, The Devil Makes Three will play some bluegrass. It doesn’t matter if the hall is full loud, with leather clad punks who thrash in “the pit” for the whole show, The Devil Makes Three play bluegrass. Okay, they add a drummer for the live shows but the records are genuine drum-less bluegrass. A great band, live and on record. General admission tickets are $43. Another great bluegrass band (with a much less hyper following) are the Slocan Ramblers. January 27 at the Petit Campus, 57 Prince Arthur East. $22.25 or $12.25 for students. The Derek Falls Trio will play some blues at Ye Olde Orchard Pub, downtown (1189 Mountain) on January 26 and the following week, February 2 they’ll back here in town at The Kahnawake Brewing Company. Guitarist Jordan Officer plays on Thursday, February 7 at Club Soda. Do you play the guitar? Until January 28, send a video of yourself playing and you could be invited up on stage to jam with him that night. There are more details and you can post your video here: https://www.facebook.com/jordanofficermusic/videos/2276648455909837/. The Durham County Poets have been working on album number 4. It may not be ready by February 21 but you’re sure to hear some of it at their gig at Upstairs in Montreal. Upstairs is actually downstairs at 1254 Mackay. I’ll be reminding you of this again as the date gets closer but it wouldn’t hurt to make your reservation now. 514-931-6808.